TakeStock can compare stock charts, track dividends, capital gain distributions, margin equity and cash flow, get information on the companies you are interested, even keep you inform on business developments. An excellent freeware you need to try if you need a personal investment manager. InventoryPlus The program lets you record and monitor your sales and costs, materials, units, customers, suppliers, accounts and everything. You can also make your reports for transactions, stock, etc. And of course backup, even scheduled, is there waiting to make you feel safe. HomeBank supports more than one account, for each of them displaying useful information such as expenses and transactions. HomeBank is able to import financial data in CSV, QFX and QIF formats. The program lets you create reports for your archives, even visualizing your transactions in the course of time, such as a year. GFP is a free multilingual personal finance manager (currently in Arabic, Brazilian Portuguese, Chinese (Simplified), English, French, German, Italian, Persian, Polish, Romanian, Spanish). It supports credit cards, bank and savings accounts, and is designed for people with little financial knowledge, to help manage their finances and create reports about their money. AceMoney is a personal finance manager. It has all the features of the commercial version except for multiple accounts management. Features: Track your spending habits and see where the money goes: Generate any report by categories or payors/payees, including pie charts; You can see at a glance how much you spent on food last month; Find all your withdrawals and deposits by any parameter. More than 100 predefined spending categories. Setup budget limits for every category and track the difference between actual and budgeted values. Track 401k, Stock options, Employee Stock Purchase Plans or any other investment activities. You don’t need to enter the stock quotes manually: AceMoney will download them from the net. Download and import information from on-line banks in QIF and OFX formats. If you run a small business, export to HTML, Text, or CSV formats to generate statements or perform complex statistical analysis. AceMoney takes control over your bills and shows you when they should be paid. Password protection of every file, scheduled backups and more. Loan calculator to plan debt payments and professional mortgage calculator to estimate future morgage payments if you are planning to purchase real estate. Automates input of orders coming from PayPal, RegNow, RegSoft, SWReg and Plimus. Interface in many languages. Free Currency Converter will give you conversions between 150 currencies, including Euro and US Dollar, always updated with valid exchange rates, and remembering your currency selection (if you accept cookies), so that next time you are on that page your particular choice will be waiting for you to fill just the amount you’d like to convert. Exchange Rates desktop gadget will let you convert several currencies or monitor constantly a pair of currencies. The gadget is elegant and simple, and it remembers your choice of currencies. Currency Watch desktop gadget monitors the exchange rates of several pairs of currencies simultaneously. This gadget provides a link to an on-line converter, just in case you need also to make conversions of custom amounts. World Time lets you monitor several times across the world, including also a connection with On Line real time automatically adjusted times that give a global image of the world time differences. If you don’t want to use a gadget, you can always consult this free On Line World Time Page. Stock Gadget will let you monitor your stock. In the settings you give the symbol of your stock (e.g. MSFT for Microsoft, GOOG for Google, etc), the amount of the stocks that you have, and a refresh interval (default is 10 minutes). Photovoltaic System informs you on many aspects of your investment including of course cost and profit over time. It calculates the Targets Installed and Effective Capacity, Installation Price, your Feed-in Electricity Profit, your Buy-in Electricity Cost, your Self Consumption Rate, Autarky grade, Total Cost of Ownership (TCO), and your effective PV System Amortization (ROI) over 20…40 years. Clipboarder will let you have at the side of your Desktop the contents of your clipboard; whatever you copy appears right there; any time you wish, you can drag and drop it elsewhere, or select it with a keyboard shortcut and paste it using the known Ctrl+V or Shift+Insert combination. Images appear as images you can view, text as text you can read, etc. Express Accounts will help you track and report incoming and outgoing cash flow, including sales, receipts, payments and purchases for a single or many companies. You can create journal entries for payments, purchases, receipts and deposits, and create reports, including a number of standard reports, such as Profit & Loss statements and Balance Sheets (with the ability to email or fax directly from inside the application). Regional format settings include currency symbol, end of financial year, decimal point display and paper size. Manager will let you monitor transactions in your company, keep track of assets, liabilities, expenses, income, equity and other aspects. It includes powerful options and customization abilities in a pleasant and convenient interface. It supports local tax codes, local date formats, local currency formats, country-specific tax reports and more. You can add journal entries, assign accounts and dates, bank accounts to monitor income, expenses, cash at bank, sales invoices, and customers. Manager doesn’t need the financial year starting date until the financial year ends which can be a whole year after you start using the program. This greatly reduces the options to decide on and the actions to take before users are able to get started. Information can be backed up. You can search the database, analyze the financial strengths, liquidity, solvency and network in a balance sheet, review business performance, sales, profit margins and expenses for a specific period in a profit and loss statement, and more. * Double-Entry Accounting * Stock/Bond/Mutual Fund Accounts * Small-Business Accounting * Customers, Vendors, Jobs, Invoices, A/P, A/R. The register supports common checking and credit-card transactions, as well as income, stock and currency transactions. Every transaction must debit one account and credit others by an equal amount. This ensures that the “books balance”: that the difference between income and outflow exactly equals the sum of all assets and equity. Track stocks individually (one per account) or in portfolio of accounts (a group of accounts that can be displayed together). Simplify managing a small business with Customer and Vendor tracking, Invoicing and Bill Payment, and Tax and Billing Terms. A reconcile window with running reconciled and cleared balances makes balancing against bank statements easy. Get Stock & Mutual Fund quotes from various web sites, update portfolio automatically. Additional pricing sources are added regularly. You can create recurring transactions, including automatic reminders when a transaction is due, the ability to postpone a scheduled transaction without canceling it, and the ability to specify only a limited number of transactions. SolvePOS is a free and basic point of sale / appointment book / stock control program. The point of sale screen is for invoicing your clients and accepting payments. You can also create appointments if necessary. Stock controls all of the items that you sell. You can organise things in to particular groups, and create specific packs. The staff screen is used to create new staff, and to set up their schedules. The report screen displays various reports. The payment form allows users to pay in a variety of ways. You can export reports to a file by simply clicking on the ‘Export Report To File’ button. Currently you have two choices when exporting. Excel XML File (XLS), Comma Delimited File (CSV). 2-plan will let you create a manageable project plan even if task-level details are vague. It combines the advantages of traditional and agile methods into a single planning tool. MapleXp gives you the ability to track multiple projects and categorize how much time went into each of the tasks involved. Each project can be divided into a hierarchical structure of tasks, which allows for very precise tracking of working time. MapleXp can export data to a text file in the CSV format. Options provided allow for a wide choice of what data and for which period should be exported. MapleXp can display notification balloons when a running task is found in a just opened database, when a user has been working on a task longer than a specified period, at regular intervals to remind a user of a running task, at a specified time (e.g. if you want to stop working at a specific time of the day). Express Invoice will help you manage customer billing in a business. The software lets you create invoices, and also print, email or fax them to your clients. It keeps track of payments and overdue accounts. Express Invoice will also let you create automatic reccurring invoices for ongoing services. It also includes a number of standard reports such as unpaid accounts, payments, sales person, accounting reports and more. WiseCalc Advanced Mathematical Calculator includes Standard, Engineering, Scientific, and Financial modes. 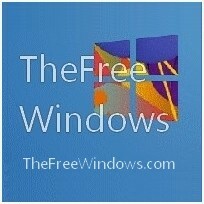 You may like to check also this list with the best free Windows calculators, simple or scientific, even specialized.